Cancer is one of the most debilitating illnesses in modern day history and various studies are currently being conducted to better understand the disease and its triggers. This studies have revealed how our diets can elevate our cancer risk. These studies have also revealed which foods contain cancer-fighting properties. One of these foods are mushrooms. According to a study published in the International Journal of Cancer, mushrooms are rich in breast cancer-fighting properties and thus they are a great ally in the fight against breast cancer (1). According to research, white button mushrooms have the ability to inhibit the actions of the enzyme aromatase. Aromatase helps the body produce the hormone estrogen, yet this hormone is also responsible for feeding breast tumor growths. As February 4th marks World Cancer Day, we suggest that you spend the next month adding more mushrooms to your diet. Aside from its cancer-fighting capabilities, this edible fungus is also rich in fibre, B vitamins, selenium and potassium. They can help to boost digestion, the immune system and even protect heart health. 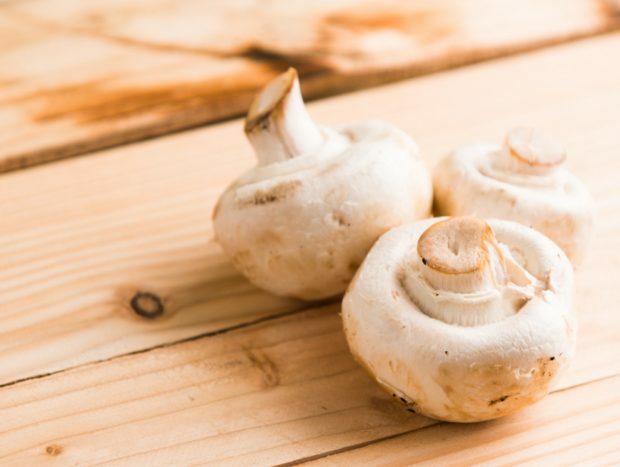 If you’re having trouble incorporating them into your diet, enjoy this vegan mushroom recipe from renowned food consultant Heleen Meyer. Heat the oil in a pan and fry the mushrooms for 3 minutes. Add the hoisin sauce and cook for 2 minutes. 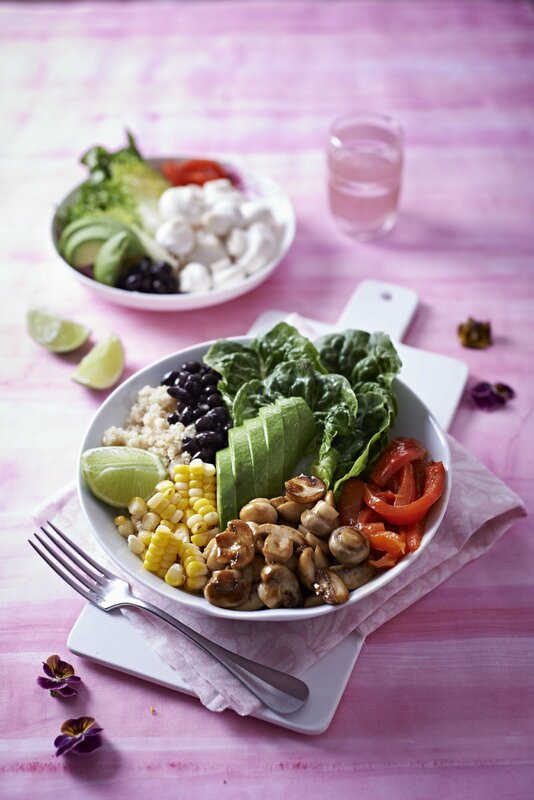 Arrange the brown rice in the serving bowls and arrange the lettuce leaves on top followed by the grilled mushrooms, corn, peppers, avocado and black beans. Whisk the olive oil, vinegar and salt and milled black pepper together and drizzle over the salad.